Netizen Sally Mcdom points out that the bravery that President Rodrigo Duterte possess made the Philippines a better place to live in. He listed every instance where Duterte displayed bravery which spearheaded the positive change that we are experiencing today. First, Mcdom stated that he went against the European Union (EU), not paying heed to their unfair conditions and eventually the Philippines got the aid from the EU without anything in return. 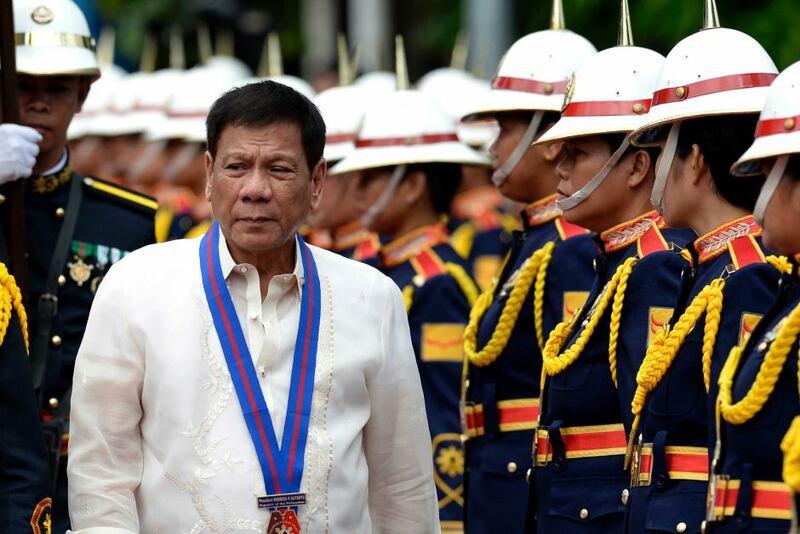 Duterte displayed bravery against Kuwait after all that they’ve done, he pulled back the Overseas Filipino Workers (OFW) and gave them safe passage back to their home land. The Kuwaitis put up a social media fight at first but eventually they gave in and fixed their biased laws that made life for OFWs in Kuwaiti better. Resorts owners in Boracay Island were taking advantage of the beach and the money it brings in but after Duterte stood up to reprimand them all, now the entirety of the island is rushing to clean both the beaches and their businesses up before the island’s shut down. Smart and Globe Telecommunications Companies (telecom) were complete assholes by hogging all the free frequencies so that another competitor can’t enter the market, but after Duterte reasoned out that all frequencies are government-owned the telecoms rightfully gave way. Duterte even made big-time tax evaders pay billions, getting the Lopez’ rushing to pay all dues. And the last point the netizen made is that Duterte is the only president to have made left and right Infrastructure projects for the development of the Philippines, unlike other presidents, Duterte had no interest in money which lead to a legitimate zero-corruption administrations. Mcdom said that in due time, all Filipinos will feel relief that they deserve for Duterte is as tired as every Filipino is, Duterte just wants change, and in order to achieve change, you must face a tidal wave of criticism and have unwavering integrity. “YAN ANG LEADER NA MAY BALLS.May political will,” the Mcdom exclaimed.